Last day of the month. 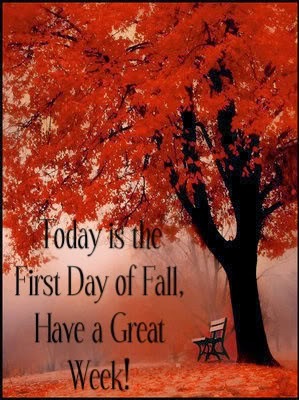 Was raining mostly all night and looks like today is really going to help bring Fall in further.Raining again and suppose to continue all day. Dreary . I miss the sun and the clear, blue sky. Even Jakey just wants to sleep. Have been busy looking at online videos and reading about Arizona and California's dry camping, RV parks. Also, we have points on our timeshare to use for next year, so will need to take a look at where we will want to fly to next Spring, without it costing us too much for air. I've had a few ideas in mind to travel to, but either the air is too much or the flights are too early, and Gerry and I don't do early morning flights. 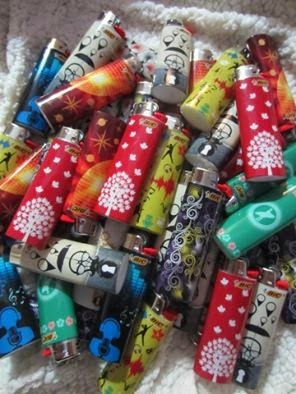 Erika received a bunch of the other winning lighters and her own Bic lighter creation that won her $1,000 a few months ago. They will be in convenience stores in Canada from now till the end of the year. 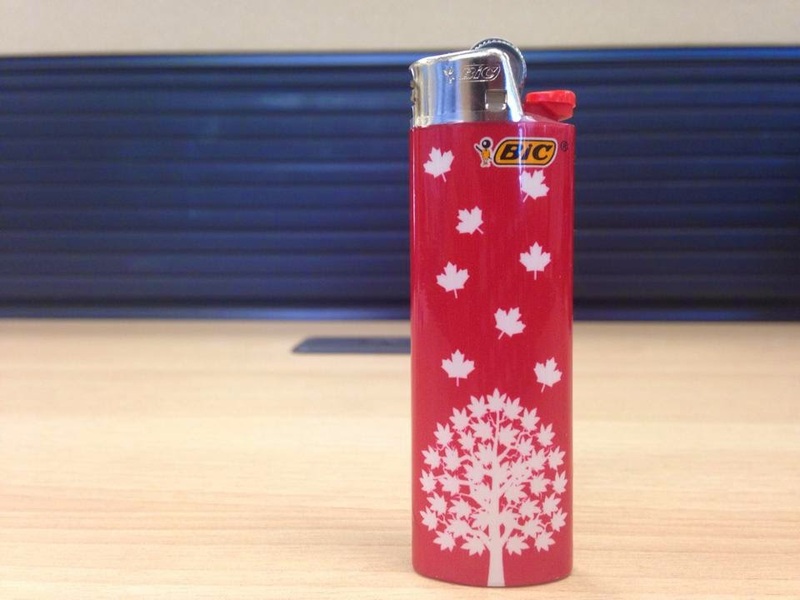 She has messaged Bic to see if indeed these are out in stores yet.She received 5 of her own design, which she will be keeping one and passing the rest out to the family. Gerry started going for his own wood this year. Has the chain saw, the truck and of course the log splitter. Went out 2 days in a row.Good he did that over the last 2 days as we are in for 2 days of rain now. His dad passed away last week though so he took a day for bereavement leave but has a few more coming. We have to leave town this week for a few things to do in the city, so will take the balance of those days then. Told him to be on the lookout for 2 small trees for our front yard. We have alot of trees in the back yard but would be nice to have some in the corners of the front yard. Had thought about a fence there or a hedge but the fence would cost too much, and we have enough wasps/hornets with the neighbors hedges to the right of us, that I don't think I want more to the left of us as well. You have to be careful getting in and out of our vehicles in the Spring/Summer. Once you make renovations to your kitchen (or just a clean up) you want to protect the work that you did. This is why for our new kitchen cupboards, Gerry added the Duck brand peel and stick laminate, (choosing the Pearl Marble design), to the drawers and the cupboards. The printed grid backing made it super easy for cutting and measuring. It will also protect the inside of the cupboard bottoms and drawers from scratches or moisture damage, which was really important to me. Plus it comes in so many colors and patterns that you can have your kitchen reflect your personality whether it be pretty funky or classic. You can even preposition it to get that proper look, even if things don't go perfect the first try! Since Gerry has more patience with these things than me, you can see I had him do the work. I had the fun of picking out the design and seeing the finished project! Thanks hun! Chuck E. Cheese’s has always been a place where a kid can be a kid, and that means it is a place where kids can let loose and play. Countless studies show that play is an essential part of kids’ creativity. When kids play, they build social skills, they learn how to achieve goals, they exercise their imagination and they improve their ability to think critically and problem solve. 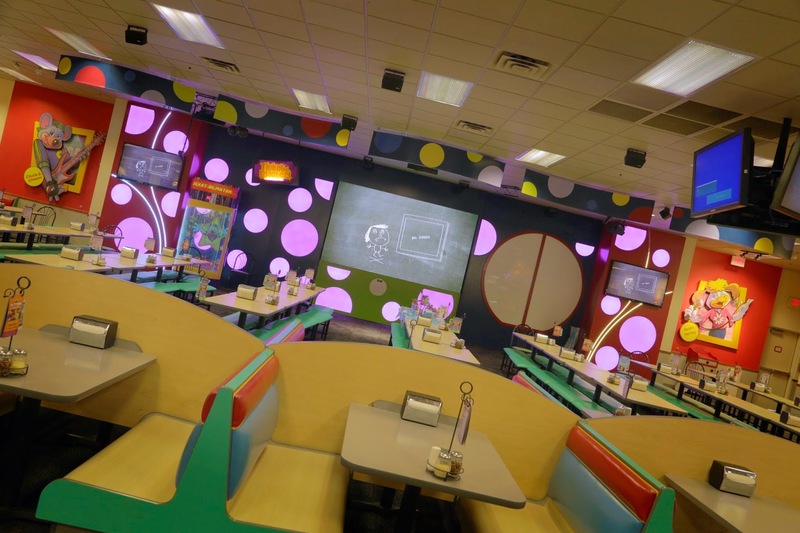 Chuck E. Cheese’s is the perfect place for kids to get the kind of play that will keep them creative. 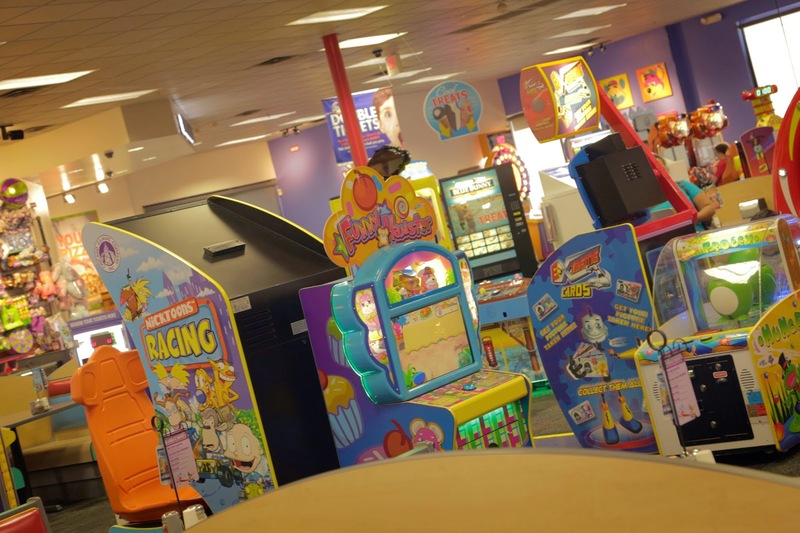 From skill games and arcades to high-tech simulator rides, kiddie rides and Skytubes, each Chuck E. Cheese’s offers a wealth of options for kids to explore, be active and of course, play. Chuck E. Cheese’s also offers musical entertainment and freshly prepared dining options for the whole family. It’s a safe, family-friendly environment where kids can have the unstructured, self-directed play time that will help their minds grow. one large pizza, 4 drinks, and 30 tokens, to one lucky winner of The One Income Dollar. 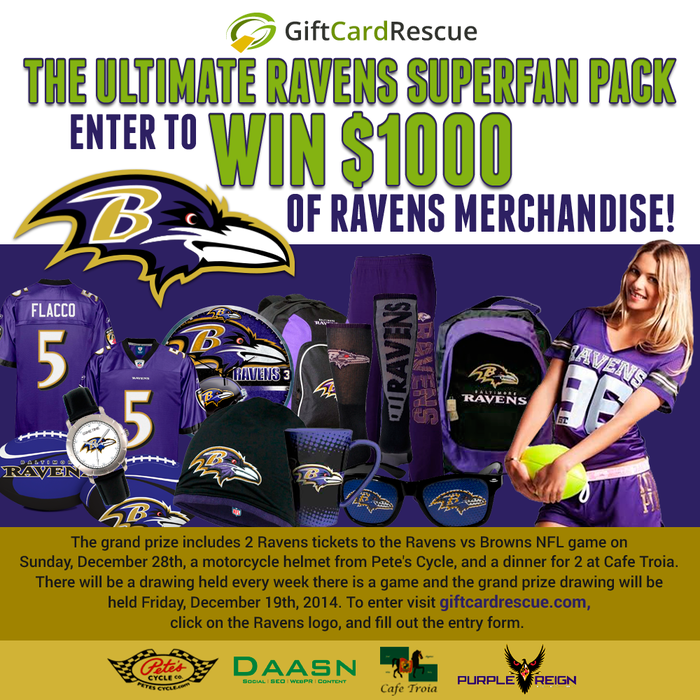 A random draw will be held by Random.org on October 11,2014 from all USA entries received. Follow The One Income Dollar on Twitter + Tweet this giveaway! Our pets are family members, and as such many of us enjoy spoiling them. Up Country is a Rhode Island based pet product company that has been making fun and beautiful things for pets for over 30 years. This is not your run of the mill accessories company, there are hundreds of items to choose from including harnesses, collars, leads, beds and toys, as well as so much more. Each product is of very high quality and can be just as unique as your pet. So give this one very important member of your family an extra special gift, you will certainly get a 'kiss' for it. And after a long walk, or hanging out in the yard with dad on the weekend, it's always nice to relax at the end of the day on his Comfort Matt. The Comfort Matt is especially great because it allows Jakey to completely stretch out or curl up if he likes. 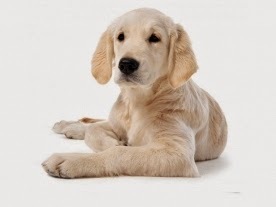 Up Country knows pet owners love their pets, and would love to give away a pet photo frame for your DOG or CAT, to one lucky USA winner valued at $20. 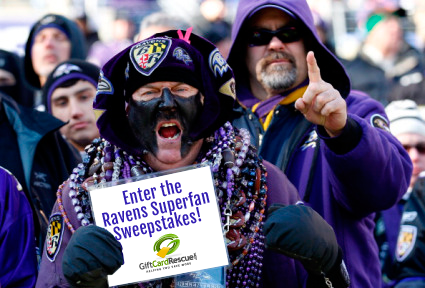 A random draw will be by Random.org on October 10, 2014 from all USA entries received. Leave your email and tell us do you have a dog or a cat? Baytex Energy Corp. sponsored and participated in an attempt to break the standing record held in the Guinness Book of World Records for the World’s Longest Lemonade Stand. 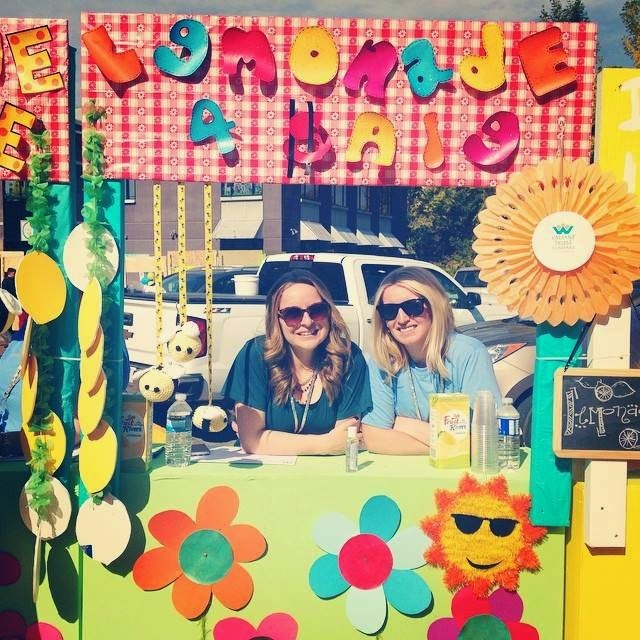 In all, there was 351 decorated stands taking part from various companies and groups hoping to sell as much of the donated lemonade as possible in a three hour span. Where Erika works, Valiant , they manned two stands. The goal for the event was mostly the world record, but more so to raise funds and awareness for a cause that has touched so many; bullying. “Dare to Care” , a charitable organization behind the initiative and hope they can help kids by providing bullying awareness and prevention programs to the school community. The event ended up breaking the world record for the longest lemonade stand, coming in at over 1,500 feet with 357 stands. 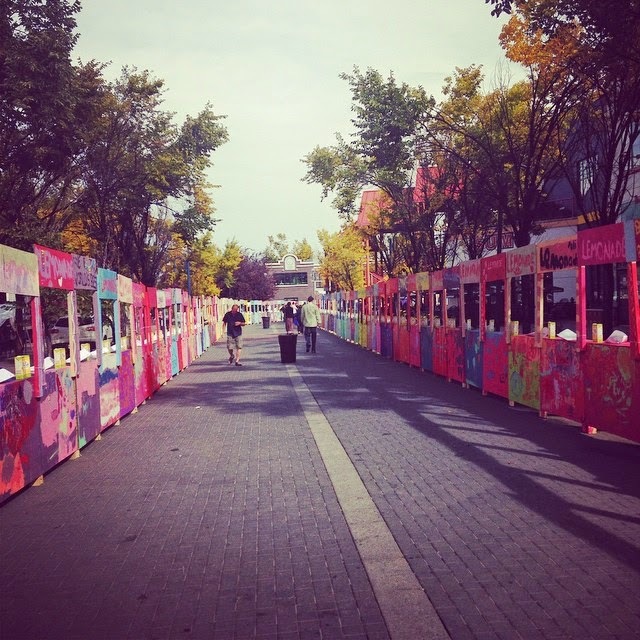 In addition to that they raised approximately $150,000 from the stand donations and $23,450 in lemonade sales! And all of those funds are going to help Dare to Care implement anti-bullying programs in schools. Falcon Safety Products, Inc. is the world’s leading manufacturer and marketer of compressed-gas products, including the leading brand of consumer electronics cleaning accessories, the one and original Dust-Off®. Fighting the build-up of dirt, dust and other contaminants in and around the home. I love the product, "Dust Off"....I am an avid sewer and quilter, plus I have four cats, so my house is always getting fur, dust or lint. I use Dust Off on my sensitive computer sewing machines to clean lint and dust in the bobbins without any worry of it damaging the parts. It is the best way to clean out the small spaces that my fingers can't reach. I also like this product for my computer keyboard....my cats are famous for jumping on my desk and so their fur in always inbetween the keys in my keyboard. I have a printer also, and lots of other delicate products, which I trust 100% WITH Dust Off. It does what it says it does....dust off. I liked using Dust Off to get spots where I know it's not easy to get dust out of, and must say it can be addictive once you start using it and cleaning all the spots where dust settles in! Well, we made it back home a day ago. I had off and on internet service while travelling, so my posts weren't as regular as I wanted them to be. The turbo stick didn't always pick up a Bell signal, and some areas just didn't have internet service as well. Especially find that when in National Parks. I guess what I had was better than nothing, but just would have liked to be more regular with posts and connecting. On Day 5 we left lake Louise, and had to just head through Banff. Wanted to stop in town, but with the RV being so big, and the town being so small, we just weren't able to find a spot to park. Most frustrating. The good thing was that at least we had been there before a few times in our past, so wasn't a total letdown.After leaving Banff, we drove to Calgary to take Jon ,( Erika's bf, his winter tires and go for a quick visit) Frustrated here as well, while in the city- as once again, we needed to get gas and most places it is hard to get a big RV that's 34' into small spots. Jakey tends to get restless once we stop too, anxious to get out, even though we stop quite a bit for him. But while in Calgary we were able to also go with Erika, Jon and their dog and Jakey, to the dog park, so Jakey did get some off leash exercise. We left Calgary at 6 pm. Gerry wanted to drive as much as he could so we got into Cereal, Alberta at about midnight. We were the only ones in this small campground.Then about 5 am some guy in a truck pulled in and was sleeping in his truck, then squealed out at about 10 am.. Was a bit unnerving not knowing who this guy was in the campground with us, and his truck running. Almost makes you want to sleep with one eye open! Once he left, I felt better, and we took Jakey out for a walk around. Then headed to Prince Albert, Sk.. Since we wanted to get some things done there and it was a Saturday with stores closing early, we never got everything done we needed to, so will probably be looking at another trip back there in the next few weeks. We figured it would have costed more by flying in, car rental, truck left at airport, dog to kennels, hotels, etc..
On another note, we have sold our skidoo- $4200 we are getting for it, which will go on our credit line. Suppose to be picked up this week. Now we are trying to sell the truck, get something that is smaller and less costly in payments and to run. Since it is another late night of getting all settled, I will be combining my Day 3 and Day 4 of our trip in this post. Since we have been travelling through the National Park of Jasper, unfortunately, we had no Wi-Fi or Internet service. It's something I like when I am travelling- to blog and to stay connected to the outside world. So finally, we are in Lake Louise, Alberta for the night and was able to get a connection. Not sure how, as we are in the woods camping, but I have one. Drove through Lloydminster at 1 pm, but stopped at Canadian Tire first and Gerry was able to pick up his RV cover-$95- and that included the taxes. Back at home, the same item was out of stock but was more- $129 plus taxes! Gerry still isn't sure why one place would be less than the other. But glad now that it was out of stock back home. We drove on to Jasper and never arrived till late- about 10- 11 pm.. ate late and went to bed. Staying in Jasper National Park costed us $20 for the park entry fee. An electrical site was $32.50. Stayed at Whistlers Campground. We were told when we arrived that there had been bears roaming here and also that the elk were mating and that we were to stay away from them- geesh- it was a good thing we didn't see any. But out in the bush camping, Gerry would take Jakey out for his pee breaks just close to the RV and back. We left our campground and were suppose to go on the Jasper Skytram, but the day was rainy and we did go there but were showed on the web cam that at the top, it was a zero visibility. So looked basically you were in the clouds, so we had to forgo it. Disappointed but we were heading down the highway to the Columbia Ice Fields an hour away and didn't want to come back. As it was, once we were further up the road they were doing blasting of rock, and there were half hour waits just to go through. Long line ups on the highway. Was nice to have our own washroom! and ended our day going on the Glacier Skywalk, (which I must say was scary for me since I'm afraid of heights and could see the canyon below as we walked over the glass, but nonetheless, a MUST SEE!). After that we headed to the Columbia Ice Fields, where we just parked in the parking lot and walked about 10 minutes up the hill...a very steep climb, that left us both gasping for breaths- possibly because of the altitude. We were lucky that there was a nice couple up there that offered to take our photo for taking theirs as well. If you would like to see the glacier up close to actually walk on it, there is also available, the Glacier Adventure, which is 80 minutes, start to finish. Tomorrow we head through Banff and then on to Calgary to see Erika and Jon for a quick stop, before driving along and heading towards home, but still not getting home till at least Sunday. We've been very happy with Jakey as well this trip, he has been a great dog to have along, and with no issues travelling with him. 9 am- 5 degrees and feels like 2 but suppose to get to 20 and sunny today here. Would be surprised to see that! Almost looks like it could snow this morning. Will see how far we can drive today. Stopped for the evening in The Battlefords, Sask..
Day 1 we left home at 6 pm. Gerry had to work till 5, then we grabbed something to eat and a quick check of our place and off we went. Arrived Saskatoon, Sask., yesterday evening at 12:30 pm, and just "camped out" in the Walmart parking lot. But never had the generator on and it got cold last night. At 7 am Gerry turned the generator on and had to put a big quilt on the bed. Day 2- Saskatoon. Even though it got quite cold last night, it was 25 degrees by 3 pm today. We left Saskatoon at 4:30, after doing some city errands, and as well we had to take the RV in to the dealer's . Still on warranty, we got a new awning in and some shocks ordered. Drove on to The Battlefords, arrived at 7 pm and staying at a nice spot called the Eiling Kramer Campground. ( $30 for electrical site plus paid another $5 for Wi-Fi since I am having troubles with my Bell turbo stick - and have another on order). It's 9 pm now and although I love the heat, it was nice to have it cool off for the day. The RV does get warm! Ideally when RVing you don't want it to be too hot. Took a few pictures today when we arrived in North Battleford. The buffalo sculpture is actually made out of barb wire. 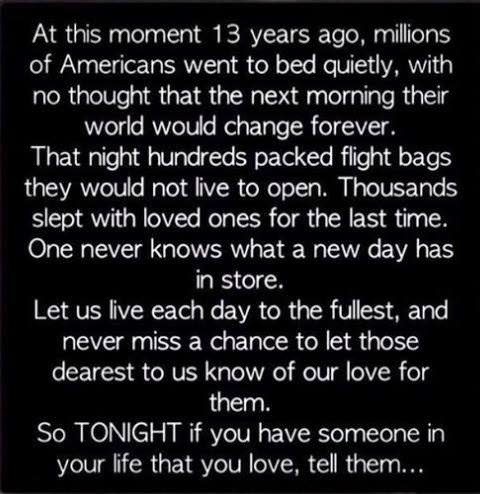 The day slipped away today- again. Meant to get this done earlier, but really wasn't on here alot today. Made cookies and muffins to freeze, did some packing of the RV for the trip (finishing that tomorrow), and just had the usual things to do around the house. Some of you may have noticed that I had started, very briefly selling a lifestyle health product, but after doing some posting locally, realized it just wasn't going to work, BUT I did like the product personally. I'm still wanting to try a home business though and have my sights set on something else that will be more to my liking I think and a bit more of something I may like better- so will fill you all in soon! It will also be an opportunity for many of you to try your own home business for FREE without any sign up fees or kits to buy! We still have our skidoo listed on the Buy and Sell locally but still no sale.So not sure if it's the price at this point or cause there isn't any snow yet. Also listed our truck. I told Gerry it is such a big expense for payments and insurance that we definitely could use that money towards something else to get out of debt faster. So the plan is sell the truck and buy something of lesser value, but still reliable. Sold some bricks from one of our elevated flower beds, that really was getting over grown by trees and flowers also just weren't doing too well in it. Gerry said there were tons and tons of ants in it. He'll be taking it down soon, and just adding more trees in that spot. The trees in the yard are nice- nice for privacy and just the general look of the yard.We have quite a few in the back. The fence that goes all around the yard is getting older but it's so costly to replace that, so Ria had an idea that rather than sink money or bonus money into replacing it, just fix what needs to be replaced, and really, she has a point. My frugal-er than me daughter! Well, must rush off.. still some computer stuff to do before I go to bed. We'll be on the road later tomorrow, once Gerry is off work. I'll spend part of the day tomorrow just getting the rest of what we need to take, all packed up. I must say I do prefer this way of travelling than having to contend with airports, customs and some air plane seats! Ever year brings with it new excitement and challenges, along with some back to school must haves. It is always fun to try something new this season at the start of the brand new school year. Our teens will love these "Must Have Ideas" to start the school year with. 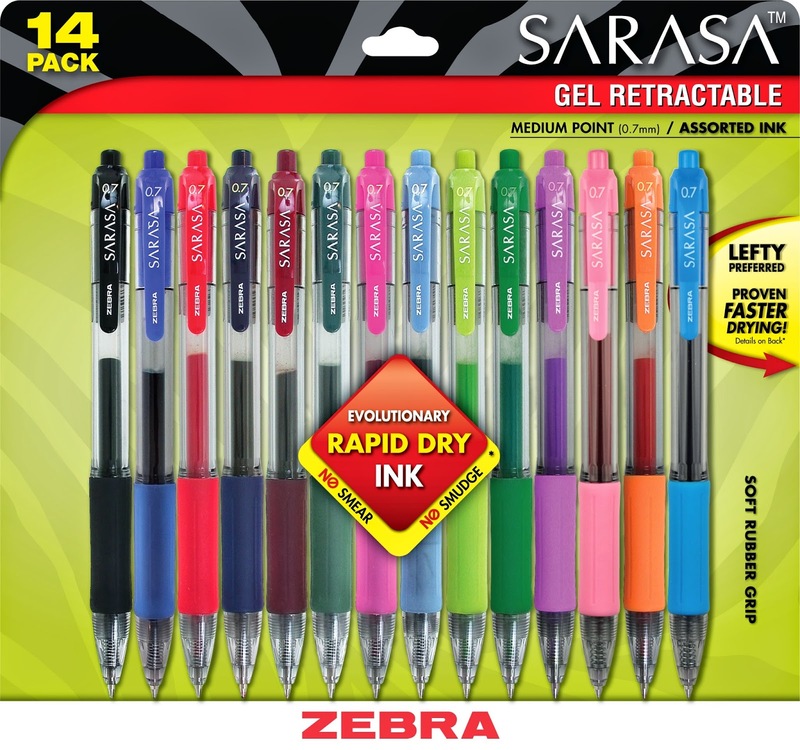 For the expressive creators of the world, the Sarasa line delivers noticeable color vibrancy and a flowing ink experience couple with Rapid Dry Ink (RDI) technology to promote a most pleasurable and confident creative or writing experience. Dries in less than a second, in an instant on most surfaces! Ideal for the left-handed! Package contains a variety of fun colors. Great for doodling and making writing look- well, less boring in your notebooks! the perfect companion to start your day with. 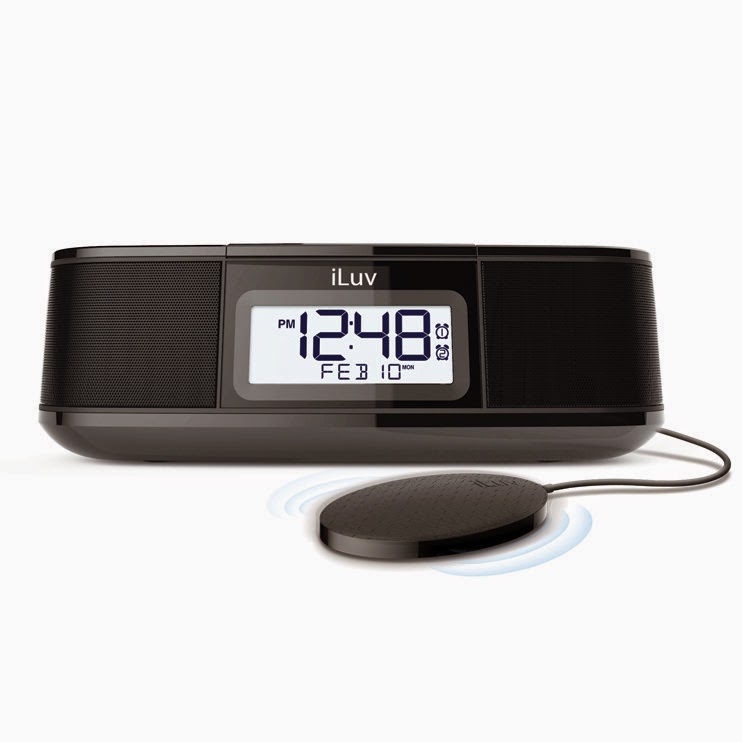 This compact alarm clock allows you to choose from multiple alarm options, including a unique shaker that fits under your pillow and vibrates to wake you up without disturbing anyone else in the room. Powerful stereo speakers allow you to enjoy your favorite radio stations or stream music from your phone via Bluetooth® in full, rich sound. Additional convenient features such as a dual alarm option, a positive LCD display and a USB charging port make TimeShaker™ Micro the only wake up call you’ll ever need. When all you need is a boost of power to your cell phone or tablet, Anker’s Astro Mini has you covered. It holds enough juice to get you back up and running. Add more than a full charge – that’s up to 9 hours of talk time to an iPhone or more than 90 hours of audio playback to most other phones. Weighing less than 3 OZ, the Mini’s sleek design is compact enough to fit within your pocket, backpack or purse. Comes in a variety of colors – pink, blue, black and silver – so there is a Mini fit for any teenager’s style. Not all charging ports are created equal. Standard ports only communicate effectively with particular devices, like Apple OR Android, often limiting their recharge rate. But the Mini is equipped with PowerIQ™ technology, meaning that each port intelligently identifies your device to speak its unique charging language. 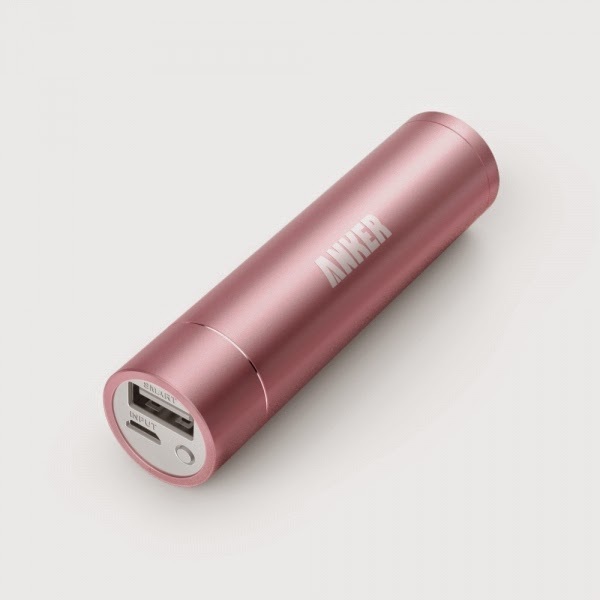 So plug in any brand or model and enjoy compatibility that doesn't limit your charging speed. The Mini not only keeps your tech devices powered so you never miss an important call, text, Facebook or Twitter post, but it’s a great device to help parents rest easy because they know their child’s phone won’t lose power, enabling them to get in touch at any moment. 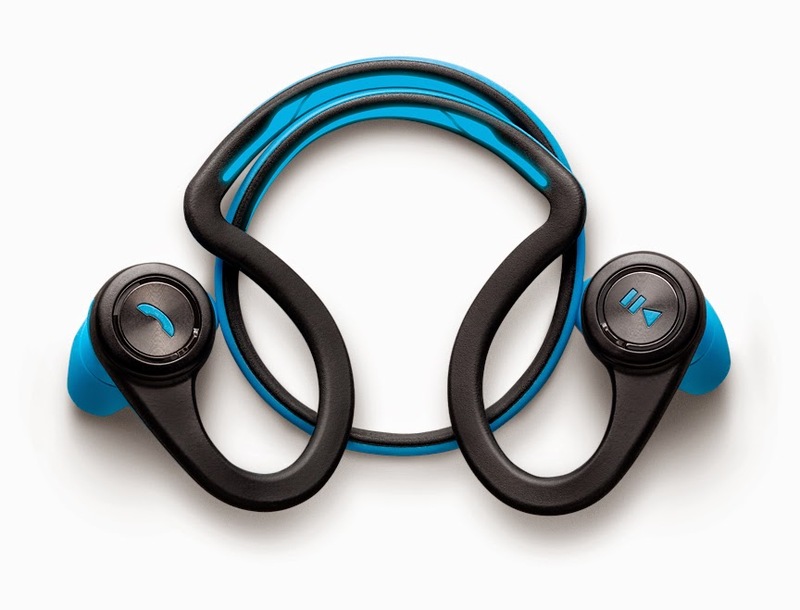 Avoid the Freshman Fifteen with the Plantronics BackBeat FIT wireless stereo headphones. These flexible, sweat-proof headphones keep you motivated with powerful audio, while its bright, reflective materials and safety-oriented design will help you hear your surroundings and be seen when out running at night. With up to eight hours of listening on a single charge, these headphones will last through a week of workouts and walking to and from classes. 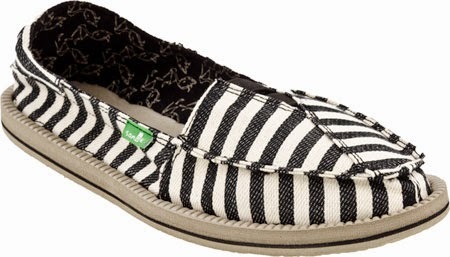 The Sanuk Drewby shoe is from Sanuks Sidewalk Surfer line; one of the most popular styles that Sanuk carries. The lightweight material and Happy U sponge rubber heel makes it a great shoe for everyday wear while the lace ads a bit more style and formality. For men looking for comfort, quality and style this is the perfect everyday shoe. Details: Textured textile lace up with contrast heel counter and dot print lining. High rebound, moulded EVA footbed featuring AEGIS antimicrobial additive. Happy U spronge rubber outsole. Vegan and vegetarian. The women’s Castaway shoe was boat shoe- inspired in terms of the canvas lining and lace detailing yet fashionable for everyday wear. The comfort of these shoes comes from the molded EVA footbed making these super soft and rubber heeled shoes enjoyable to wear at all times. Details: Overdyed striped textile, overlap upper with boat shoe inspired lace detail and printed canvas lining. Super soft, high rebound molded EVA footbed featuring AEIS anti- microbial additive. Happy U sponge rubber outsole. Vegan and vegetarian. ** Watch this spot for more back to school ideas for teens.